Is Florence, Italy the New Silicon Valley? When you think of Florence, Italy your firsts thoughts aren’t of high tech devices, men in space and the Internet but that could change over the next few years. This beautiful Tuscany city, the birthplace of the Renaissance is now moving into the technology age. The Web Technology Academy is opening in the city center near the statue of David and thousands of other pieces of priceless works of art. The school plans to teach students the skills they need to join the ranks of Da Vinci, Galileo and Michelangelo. Students may not create their first masterpiece out the gate but the four-week course will show them how to build their own websites, create great graphics, sell products online and make money with their own ecommerce business. The Web Tech Academy even claims that hard working students could have their website fully functional by the time they complete the course. This intensive program is not your typical website or ecommerce training program. It is an immersive, fast paced environment, engineered after the style of bootcamps that have become popular in Silicon Valley, USA. 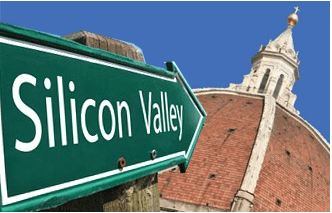 The new Silicon Valley style “bootcamps,” are like vocational schools for self-motivate people with the desire to earn their own income but need to get started working immediately. These accelerated programs arm students with the fundamental skills needed to compete in the highly competitive online marketplace. — no previous Internet experience is required. Applicants at Web Tech Academy come from all walks of life, from just starting out twenty, thirty somethings looking for a decent income to attorneys and bankers in their forties looking for a new career of their own. Owning a web based business offers freedoms most people could only dream of having. “We’ve had plenty of applicant who are in their 20s, 30s, 40s, and even 50s that realized that what they were doing wasn’t working for them,” explains Richard Haberkern, California resident and founder of the four-week Web Tech Academy. Also one of the instructors, he will be teaching his first class in May 2014. Putting it more bluntly: “The promise is the promise of financial independence, a livelihood to live the way you want. “We chose Florence for our first classes because we wanted students to feel like their life has changed and there is no going back.” It seems there is no better motivation than sitting at a café, drinking espresso, while building a business online. They just might be on to something here. Additional workshops show how to create your own products, create viral videos, basic programming skills and more.